Marginalia has always fascinated me. I owe this to a distinguished professor who held court in one of my undergraduate seminars many years ago. He once explained to us the pleasure he found when discovering his students’ notes in the margins of texts in the university library. As he was an older professor and had taught at the school for many years, he knew the library’s collection and his students’ use of texts in his field quite well. He enjoyed discovering hand-written notes in his assigned texts or in books that were pertinent to his subject matter since these notes became “analog trails” (my term, and a pun on “digital trails”, of course) that led back to the discussions held in his seminars and to the knowledge developed in them. It goes without saying that the e-book has altered our relationship to the text and to knowledge. No longer do we have a one-to-one relationship with the physical object in front of us. Now we can potentially have a one-to-many relationship with all of the text’s readers. There are clear benefits to be gained from this, i.e., don’t think that I’m a Luddite and want to turn my back on the new communities of readers that are developing thanks to e-book innovations. But my thoughts today (and what this post is only scratching the surface of) are focused on how the physical manifestation of a text – i.e. the book, affects our relationship with its content. A book’s marginalia often represents one person’s relationship with a particular copy of a text rather than one’s relationship with a community of fellow readers. Reading marginalia is almost like reading a diary since one is reading notes and thoughts left primarily for personal consumption. When we encounter marginalia, we are discovering secrets and clues left behind by other readers – clues that can alter our interpretations of the text, but only in the copy we are holding in our hands. Marginalia also individualizes or “makes unique” texts that are published in large volumes. Just as violinists treasure their violin’s lineage from one musician to another, many readers treasure the sign’s of a book’s “borrowing history”: the notes on the pages left behind by previous readers, the dog-eared corners, the discolored, yellowed pages which signify its age and in some ways, its value to the collection. All these marks, notes, dents, and scribbles create a “lineage” of readers for the text. They show the would-be reader the value that others have found in the text, and the added value he or she may acquire upon reading it. These scribbles and folds haunt a physical book; they create a history of reading, marked in time and place by the thoughts of its previous readers. We are shifting away from a centuries-old period where the content and its container were inseparable – where the content was signified by the container, and where the container gave the reader clues about the content’s worth. Although it hasn’t been difficult for our culture to make the transition to our new digital period where the container’s role has been diminished, I wonder if we should be paying more attention to how our interaction with texts – whether it is writing marginalia or selecting ebooks from a virtual shelf – affects our understanding of knowledge and the development of “collective wisdom.” That’s not to say that things are worse (or better) off today compared to “time before e-books” so much as it is to suggest that when our interaction with knowledge has for so long been focused on reading the written word with a pen and paper close at hand, it may be a useful to exercise to study how our new tools and technologies affect the ways we think and learn. I’ll leave these theoretical and literary implications alone for another day when I have the courage to transform these meandering thoughts into a well-sourced argument that might provide understanding. And I’ll end by acknowledging the irony found in writing these thoughts in digital form for a larger community of readers. 1. For the record, David caught his mistake and re-scanned the page. 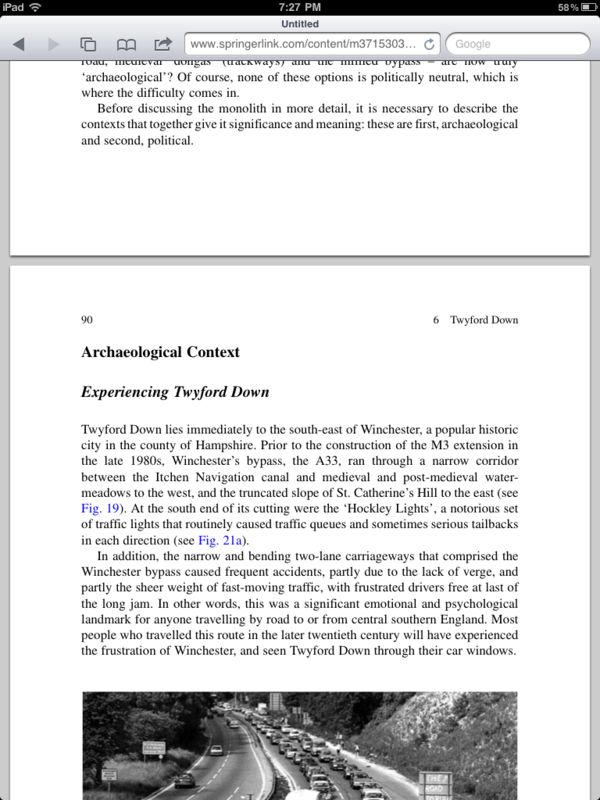 The next scans in the Google Books scroll of images are clean digital images of these pages. Also, my research on early Nova Scotian documents continues. 2. I am not suggesting that no extra meaning or significance can be found in e-book notes or on social reading websites. Social sites actually do an incredible job at adding meaning to a text, but they do this in different ways, e.g., crowd-sourced discussions and reviews. The iPad makes reading, carrying, and storing ebooks easy. Is your library ready for the iPad? Do you have patrons requesting ebooks for their tablet or asking for reference help on a question they’ve already started mapping out on their iPad instead of a workbook? If you haven’t seen an iPad in your library yet, then get ready for them, because in No Time Flat we’re going to see these devices on a regular basis, and it won’t be very long before they become a dominant learning technology. It may not be when classes return in September, but I’d venture that we’ll see iPads and other tablets on a regular basis in January (i.e., after the Christmas season), and by the 2011/2012 academic year they will become a viable study aid and learning tool for a plurality of students. We know why the iPad will work so well in academics – because of all the reasons it works well in the real world, i.e., it is a small, portable device that is large enough to reproduce A4 and 8.5×11 sheets of paper on a comparable space. It costs the same as as a netbook but has twice the viewing space and loads of different capabilities a netbook can’t even think of doing. Add to the fact that the iPad is packed to the gills with communicative technologies seen in our smartphones and notebook computers, and it becomes a match made in heaven. It’s not going to be long before tablets become ubiquitous on campus, so we need to get ready for them now in libraries. This means that we must reconfigure our programming and our resources in a manner that makes the most out of the tools our students are using. A couple things come to mind right off the bat. We need to push our ebook vendors for decent mobile-configured platforms. We need to ask ourselves how our websites and streaming tutorials appear on tablets, and how much bandwidth they consume (important to anyone on a 3G/4G wireless network). We should be asking ourselves how we can communicate to our communities of users on the devices they will carry with them when conducting research with resources we maintain on their behalf. So many of the opportunities that tablets offer librarians lie in their deign as a communications and information storage hub. When the day comes that most students carry tablets, we’ll be able to offer tutorials and lectures that create instant, permanent links with our users. The iPad can change the One-Shot Library Tutorial into a lesson that pushes library content directly onto the student’s own devices. Imagine walking to a classroom and immediately transferring to students an application that opens your browser window on their tablets so they can follow along with their iPads as opposed to staring at images projected on a wall? Or how about having several students reading and collaborating on the same digital document with tablets, which can faithfully mimic the form factor of print? 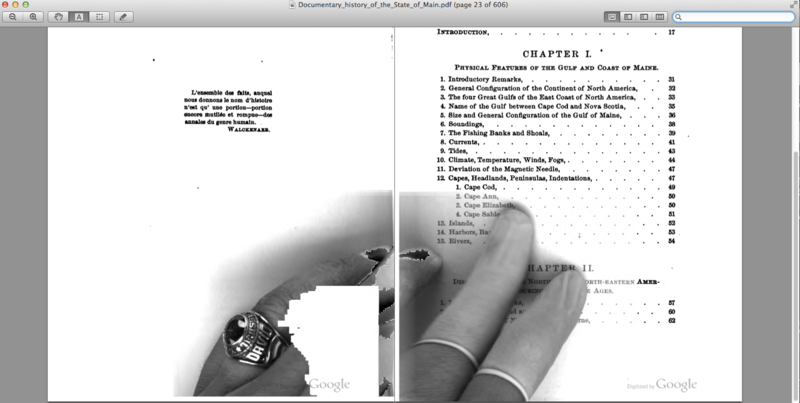 When I send students to EEBO, they must look at renderings of 300-year-old documents on screens that do nothing to mimic the shape of pamphlets, playbills, and books. The iPad, however, turns the viewing screen on its end to become longer than it is wide; tie it in with the power of cloud computing and we can help students learn from the same digital object on different devices. Electronic material has become the rule instead of the exception, so we shouldn’t be surprised when students to expect us to have means to advice them on digital objects with electronic tools. Forgive me for this blue-sky brainstorming. For several months now I’ve watched friends say, “I want an iPad and I want it now” (I say this myself all too often, too). We need to go further, though, and prepare ourselves for the time when students use tablets as their main learning tool. The iPad is an e-Reader, a communicative device, and a collaboration engine all rolled up in one little package. And since student purchasing power is strongest in September and December/January, we should get ready now for what is to follow, because in a year or two the iPad and its competitors will be as necessary to learning as a pen and pencil. Those of use who are in the business of helping people learn how to learn must have expertise with the tools these people use to actually learn things. This means getting ready for the iPad, its apps, and the way it will complement electronic materials. An Important iPad Reference for Librarians : Tiffini Travis reviews the device as a notebook replacement. ProfHacker reviews iAnnotate, for excellent annotations of PDFs on the iPad. I haven’t posted here much lately. School is in session and I’m still holding down an information literacy internship that amounts to 15-20 hours a week of work, so I’m a busy little bee. My apologies for that. I’ve got a MARC story to tell. Yes, I can hear the pitched groans out there. Anyway, at one point at work today I had to figure out roughly how many e-books our library subscribes to. All I needed was a general figure to paste into a flyer to promote the growing e-book collection, but this question posed a dilemma that required four other staff members to wrap their heads around. After speaking to our database management librarian, our systems librarian, as well as the two tech services staff who really are the experts and daily managers of the e-books as they exist in the collection, we still didn’t have a solid answer. Although we could all go into our own records and tally up the numbers, it would have been nice if the catalogue could spit out a number for us. The problem is that, like so many other organizations, our catalogue was not designed to properly account for e-books. 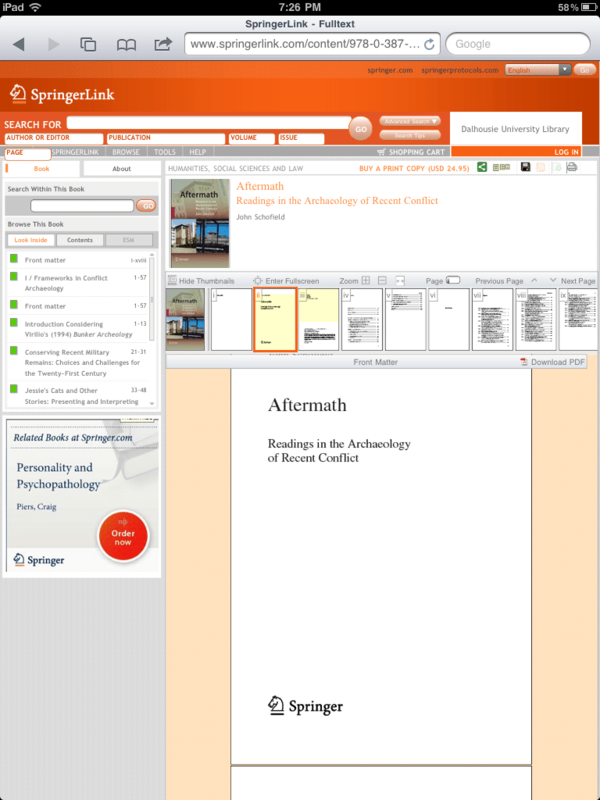 We can list the e-book’s format as a book and as an Internet resource in two different (but not mutually exclusive fields), and we can flag the item as an electronic resource in the 245 field under the GMD. 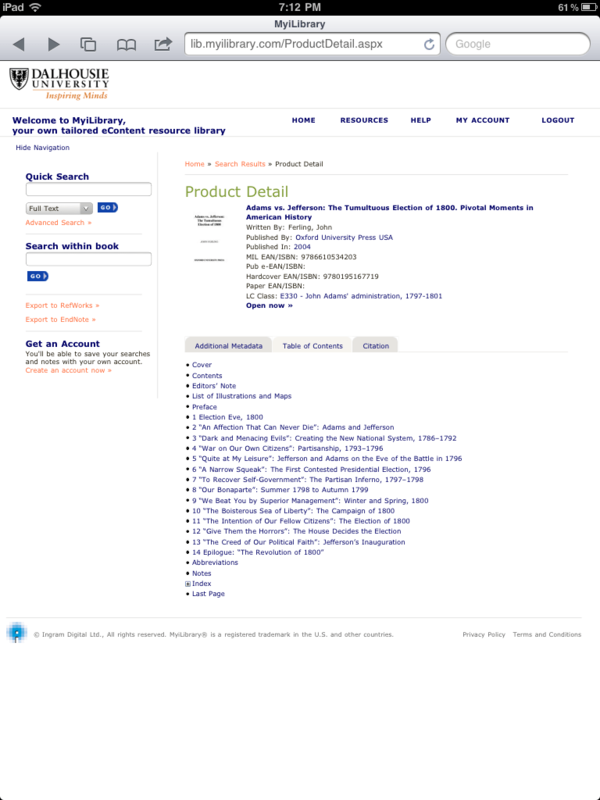 And like so many other libraries, we also choose to list an e-book in the 655 genre/form field. At any rate, an answer has been found. When I left work this afternoon, some of the staff were performing a common command line search to figure out the answer to the question I was wondering at 830 in the morning. I did feel bad for asking the question, since it created a little bit of work, but it was nice to see that people with the know-how on this one where up to the challenge and were determined to come to a answer by hook or crook. It’s this sort of work that has really made me come to respect cataloguing and database management. It’s one thing to know MARC codes and indicators like the back of your hand, but it’s another to understand the reasons why certain items are flagged the way they are and what the ramifications are in the present-day and into the future. 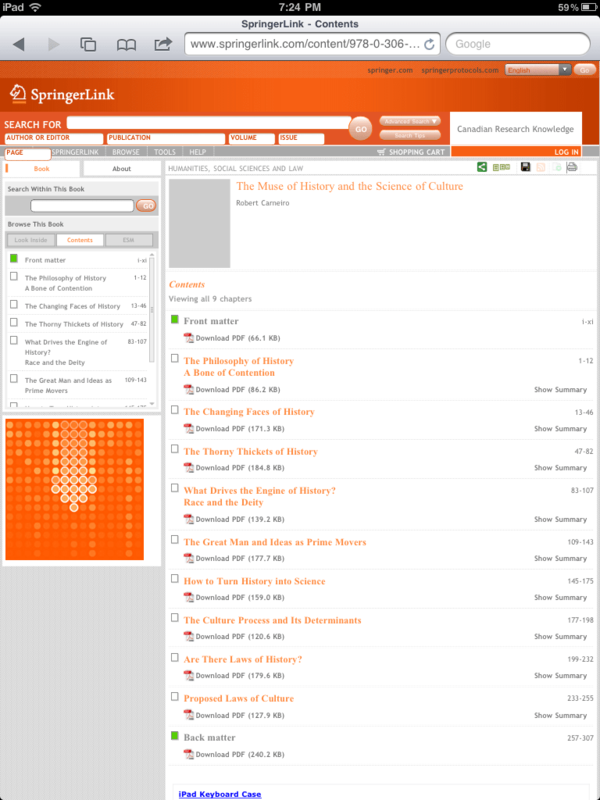 I don’t think my question, as it was posed, is going to force a major re-think of how e-books are catalogued at the library, but it was interesting to see the organization of information truly come into play on this one.